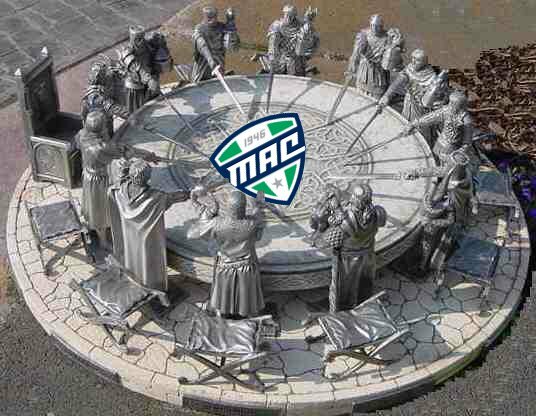 1) Over the last 5 years, the MAC has seen an influx in recruiting talent. Is this consistent with the national landscape or is the MAC slowly gaining ground on other conferences? I think we’re finally starting to see the trickle down effect of the 1992 ruling that capped the allowable number of scholarships at 85. No longer were teams signing players that would never play, but couldn’t walk away from a free education at a school like a Michigan or Ohio State. With that restriction in place, talent trickled down to the MAC and guys that would have been 4th or 5th string in the Big Ten were now seeing minutes for the MAC teams. That has helped. I can’t say it was anything the MAC did, other than be located in the area that they are and have the NCAA make a ruling (for once) that actually benefits people. 2) Which currently successful MAC team is built for long-term success and which, if any, has all their eggs in the 2012 basket? I think that depends on how you look at longterm success in regard to the length of time you’re talking about. To me, success in the MAC ultimately comes with retaining your coach and replacing your talent. I would say Ohio is in the best longterm position if longterm is over the next five years as I doubt Frank Solich goes anywhere else. On a year to year basis, I’d say the conference as a whole suffers (or benefits depending on your perspective) from tremendous parity. 3) What statistic has been most crucial to your team’s success or failure? The success and failure of this season rests not on statistics for the Cards but what my basketball coach called Stick-To-It-iveness. The wins against WMU, Indiana and South Florida required late game heroics and the losses to Kent and NIU were the same just a different end result. Ultimately, this team has had more gut check moments in the first 7 games than many teams have over the course of an entire season. That’s hard to measure statistically, but it’s awfully damn fun to watch.